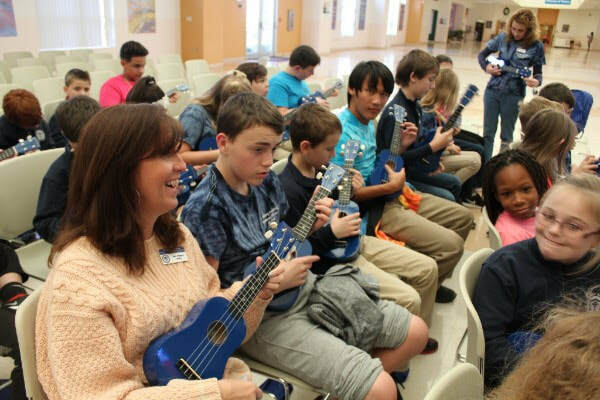 SARASOTA, FL (WWSB) - Two groups joined forces to bring music to the ears of some Suncoast students today. 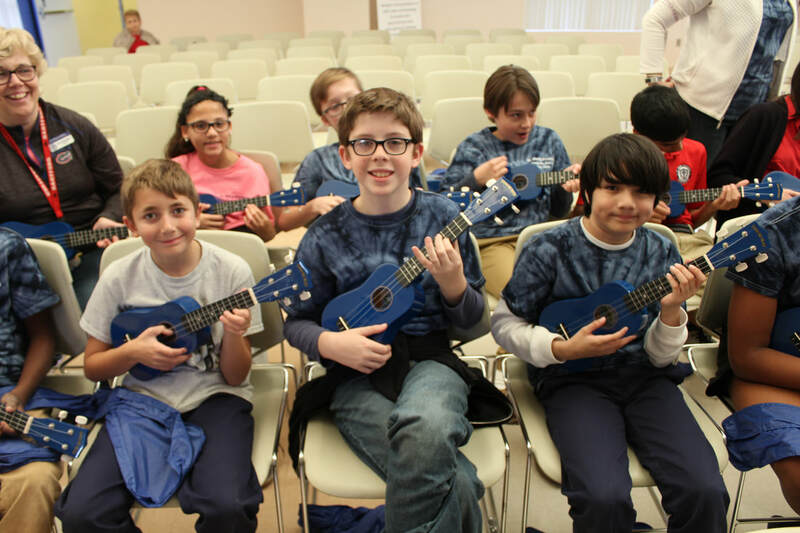 The Knights of Columbus and the Young Musicians Education Foundation donated 46 ukuleles to St Mary Academy. 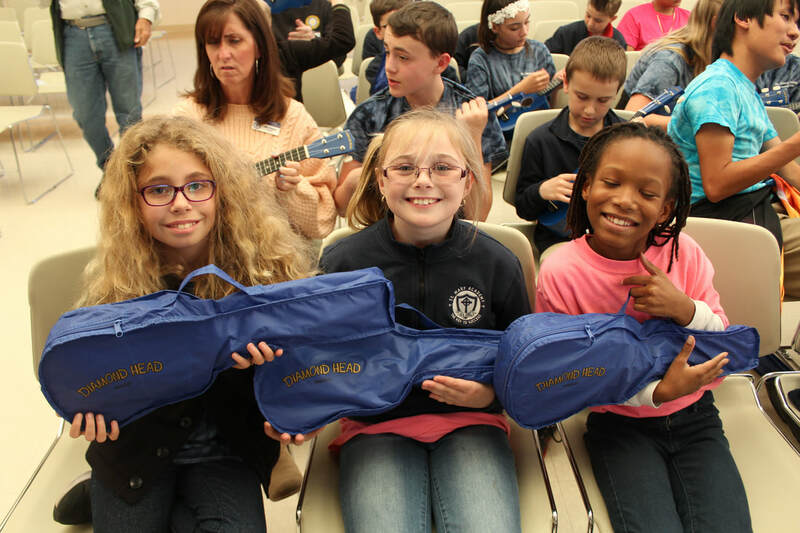 The students were each given an instrument along with their first lesson from members of the Gulf Coast Banjo Society. SARASOTA- From coloring books to coding. As technology evolves, so are school curricula. “They’re beyond excited. 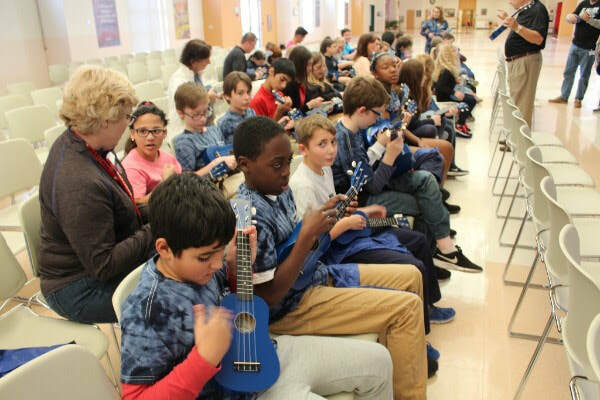 They go home and they tell their parents and their parents can’t believe it and they try it, which is exactly our goal,” said Maria Beall, Technology Curriculum Integration Specialist at St. Martha Catholic School. Friday morning, St. Mary and St. Martha Catholic schools join the hundreds of millions of students in the Hour of Code, a language built for humans and computers. ​Friday morning, St. Mary and St. Martha Catholic schools join the hundreds of millions of students in the Hour of Code, a language built for humans and computers. Beginning as early as 4 years old, using a “coderpillar”. 8th graders using ozobots, gadgets that recognize color as codes. Just one week into learning how to code, and 13 year old, Hayden Garriott is hooked. “My teachers have encouraged me to follow technology science into my career,” he said. Special needs students at St. Mary code through games. “You drag things, like little text bubbles over to a working space and then you click on start and it does it what it tells you to do,” said Kamden Bailey. these students create sequences through Hot Wheels. Beall says St. Mary and St. Martha are part of the 40% teaching their students computer science. “Eventually that might set them apart from somebody else who’s going after the same job that they’re trying to get,” Beall said. give thanks for the many blessings received. 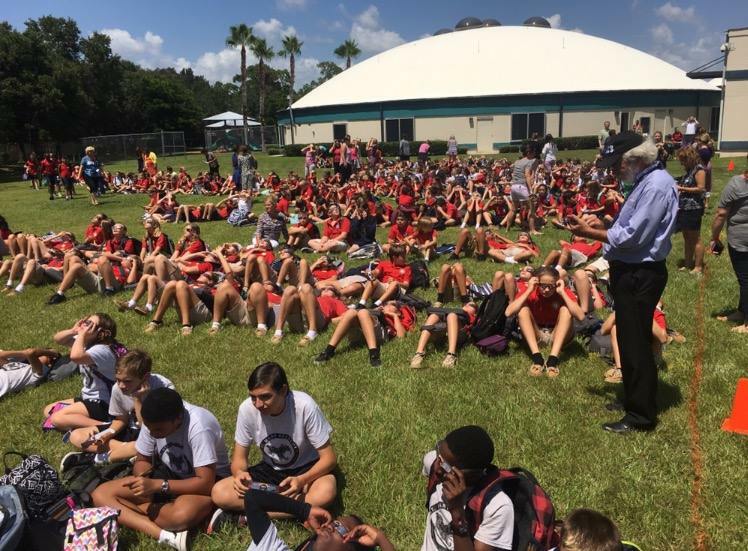 SARASOTA, FL (WWSB) - The 7th and 8th graders at Saint Martha's Catholic School are ready for the solar eclipse. They have their ISO certified filter glasses and they've read several articles about this rare event. "I'm very excited to see and get the whole experience of the solar eclipse," said SMCS 7th grader Hayden Garriotte. But Hayden and his classmates aren't just going to experience the natural wonder, they will be rolling up their sleeves and contributing to science. "We're going to be recording data for NASA" said student Erin Galvin. On Monday, some SMCS science classes will head outside to perform experiments and record their results. Their information will then be uploaded to several websites, including NASA's, where it will be used as part of the citizen scientist program. ​"We wanted to be included in this and we started in the summer. Even though we are not in the path of totality, this is something that's special for us and we can contribute in a meaningful way, " said teacher Mary Ann Kiger. The students will observe animal behavior, measure air and surface temperatures, as well as record a slew of other changes resulting from the eclipse. Kiger is one of the teachers who will be overseeing the experiments and she says incorporating the total solar eclipse into her lesson plan gives the students hands on experience and a better understanding of the material. 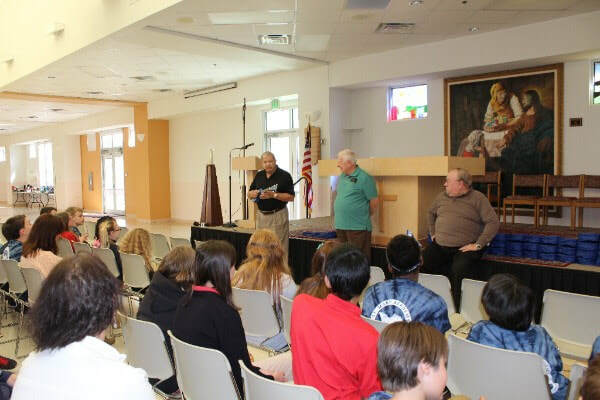 "Part of the curriculum for 7th grade is a lot of space, planetary movement, and Kepler's Law, an eclipse is a really, really nice model of how the law works, so that works really nicely with this grade level for us," added Kiger. As for the students, they say Monday can't come soon enough. "I love science. I love the way it works, so I'm just every excited," added Galvin. Her classmate Hayden agrees, "It's very exciting because I've never experienced anything like it before." Many public schools on the Suncoast are doing similar things. The Sarasota County School District is allowing some teachers to take students outside during the eclipse and incorporate the event into their lesson plan. Manatee County School officials say students won't be allowed outside but the event will be part of the curriculum. ​New Zazarino Center includes gymnasium, additional classrooms and an event hall. 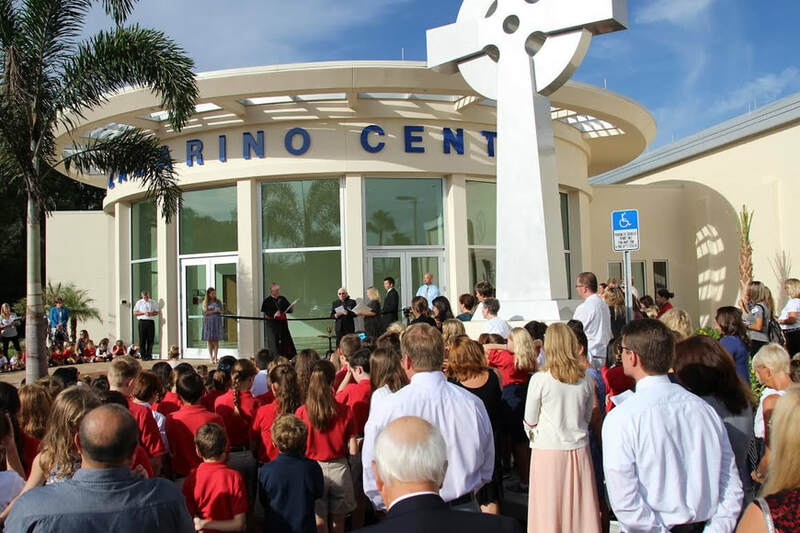 The St. Martha Catholic School campus has expanded with the official opening of the new Zazarino Campus. The facility broke ground in October 2015 and was completed in time to start the school year in August. 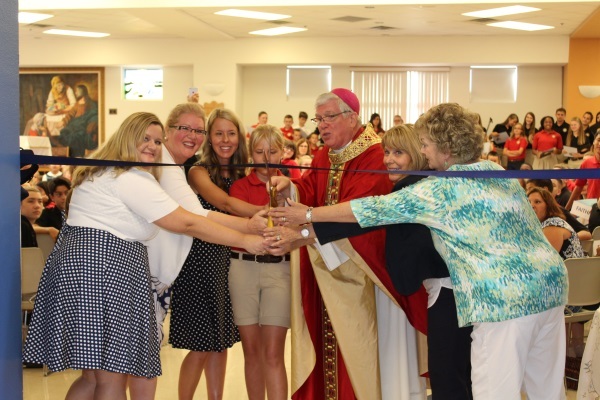 Bishop Frank Dewane was present Monday, Sept. 12 to assist in cutting the ribbon and blessing each room of the facility. Named for benefactor, Louis Zazarino, the facility adds 26,000-square-feet of space for students to the campus. The centerpiece of the Zazarino Center is a gymnasium with a basketball and volleyball court. There are also additional classrooms, locker rooms, performance and event space. Bishop Frank Dewane stands with Students stand with words used to spell out the St. Mary motto of F.I.R.E. 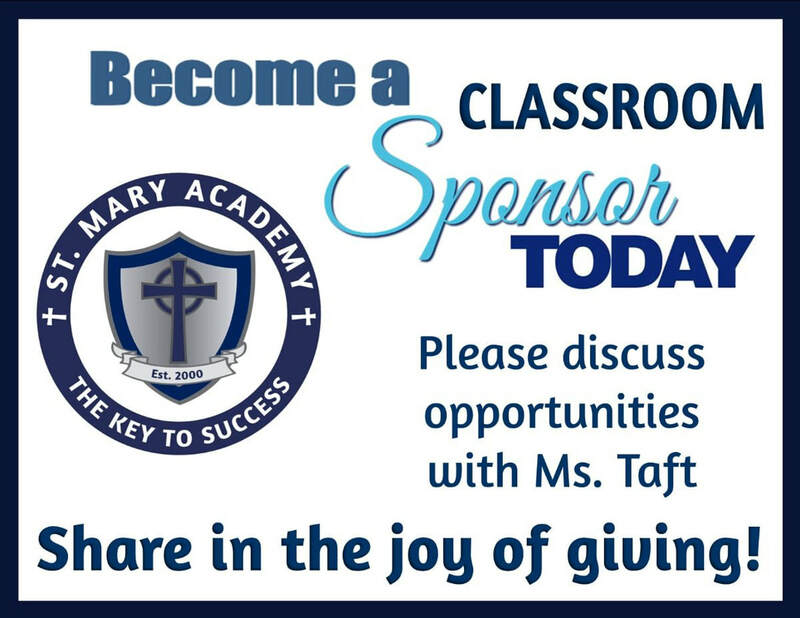 ​Dreams Are Free Catholic School is re-named St. Mary Academy. 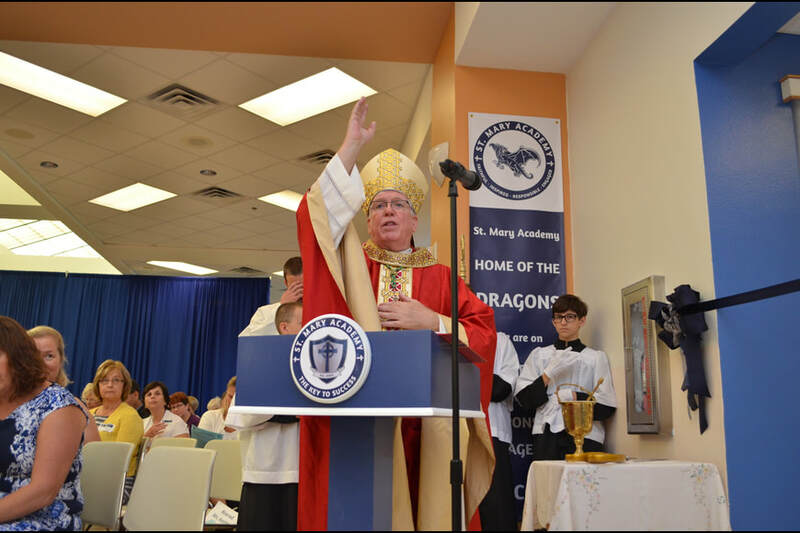 The former Dreams Are Free Catholic School at Bishop Nevins Academy is now officially known as St. Mary Academy. 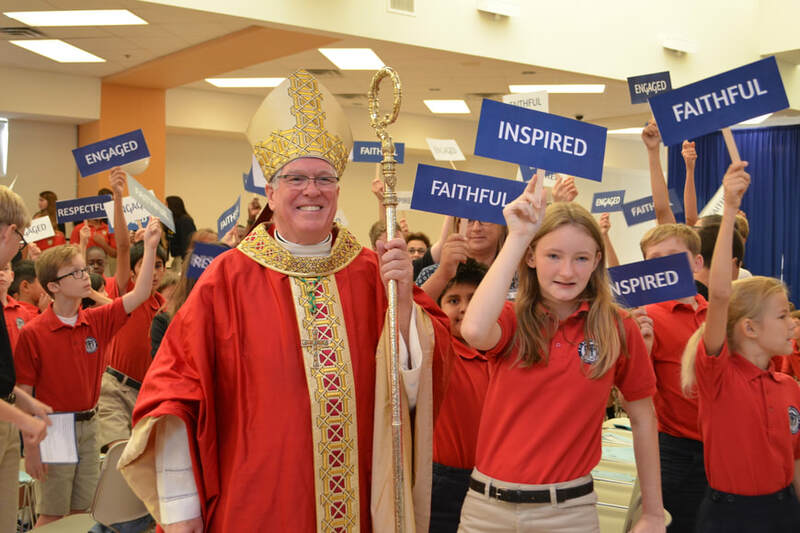 Students from St. Mary Academy and St. Martha Catholic School gathered for morning mass and ribbon-cutting ceremony led by Bishop Frank Dewane. During the assembly Dewane described the meaning behind choosing St. Mary and her biblical relationship with St. Martha during a school assembly. “They were two sisters who complimented each other,” Dewan said. The schools share a campus connected by hallways. Now the name will reflect the partnership as well. 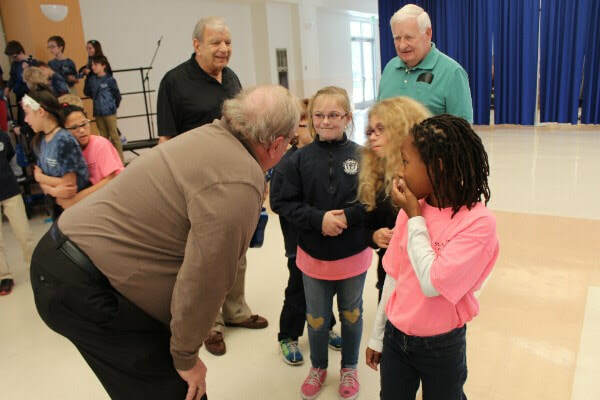 About a year ago Principal Rebecca Reynolds met with Venice Diocese Bishop Frank Dewane about changing the name in response to the growing enrollment. 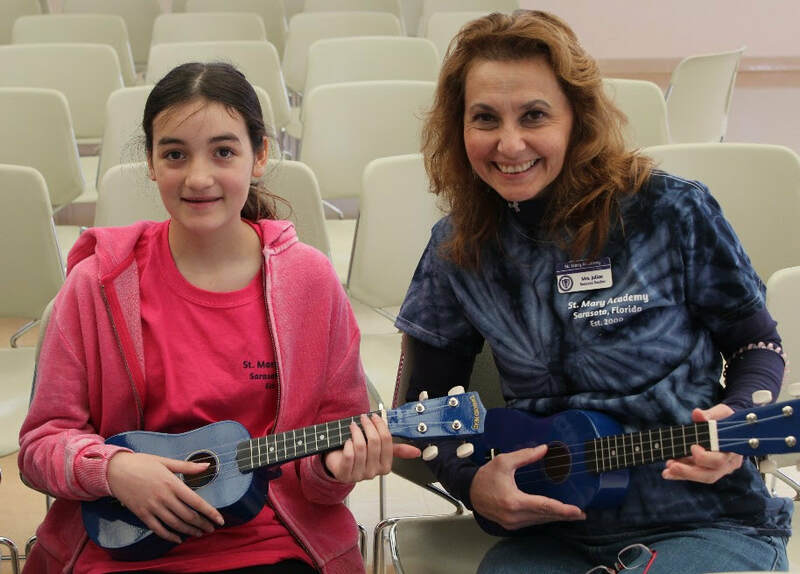 The school which was established in 2000, addresses students with special learning needs from Kindergarten to eighth grade. 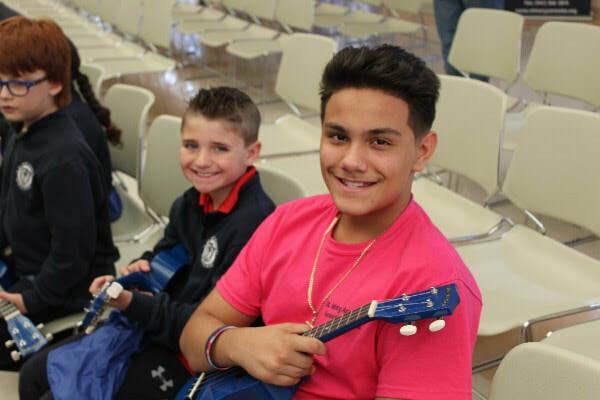 When it was created it became the first school in the Diocese of Venice that addressed students with learning disabilities. According to Director of Development Connie Taft enrollment had increased by 40% in the last two years. 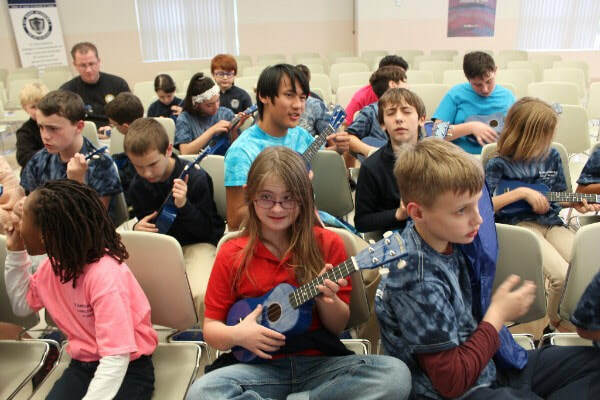 ​The school which was established in 2000, addresses students with special learning needs. When it was created it became the first school in the Diocese of Venice that addressed students with learning disabilities.